Блог Андрея Бызова (АБ). Больше ЛМК в России. - WorldSteel.Org: Russia transforms its infrastructure for World Cup. WorldSteel.Org: Russia transforms its infrastructure for World Cup. Following on from the 2014 Winter Olympics in Sochi, Russia is playing host to the 2018 football World Cup. Global sporting events such as this are massive undertakings, representing huge challenges for a nation’s transport, tourism and sporting infrastructures. With 1,000,000 tourists expected to visit the country across the four-week tournament, Russia has laid on more than 700 trains that are free to use for ticket-holding fans. These trains will move the supporters across the more than 5,500km of railway lines that connect the various stadiums. This year’s football tournament, which will feature teams and visiting fans from 32 countries, has also become one of the driving forces behind a boom in infrastructure and construction projects across the 11 Russian host cities. In 2015, to meet this growing demand for construction, a new steelworks plant in Chelyabinsk was opened. 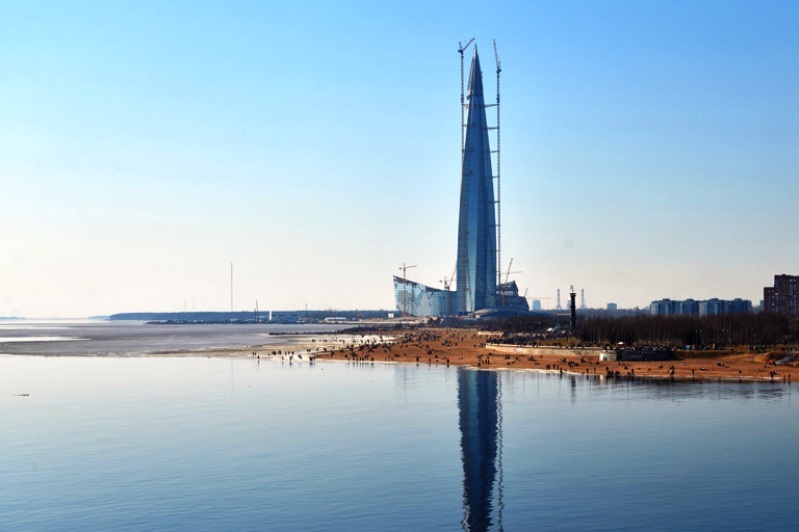 In addition to its work for World Cup projects, the JV Konar-Cimolai foundry provided the steel for the 462m-high Lakhta Center in St. Petersburg – Europe’s highest building – as well as an elegant steel pedestrian bridge in Chelyabinsk. The stadium preparations have been making the most of Russian steel to ensure the ongoing sustainability of the venues post-World Cup. The Fisht Olympic Stadium, named after Mount Fisht in the Caucasus mountain range, combines steel underpinnings with other materials to give it a flexible format. An 11,000 square metre steel-supported structure acts as the roof for this impressive stadium, allowing light shows to be projected through its translucent shell. With 8,000 tonnes of reinforced steel dedicated to just the roof and rigging, it’s a stadium that has been built to last, but not entirely in its present state. 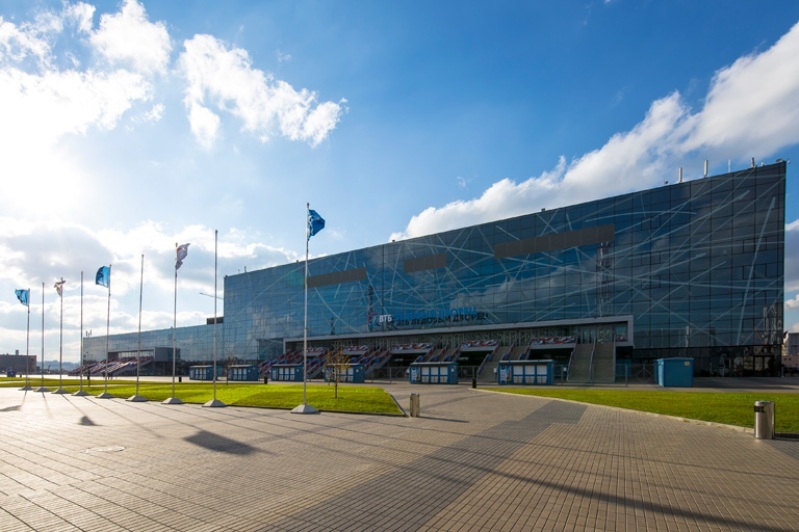 Its initial use at the 2014 Winter Olympic in Sochi was for 40,000 observers, but the removable steel roof makes it an adaptable and extendable venue. The addition of outdoor seating at either open ends of the stadium will increase its capacity to 47,000 for the FIFA World Cup, before shrinking to around 25,000 for Russian domestic football games after the international tournament ends. Fisht Stadium isn’t the only structure to be influenced by the sporting stadium industry’s trend for reconfiguration. Reminiscent of the Bird’s Nest stadium in Beijing, the steel-latticed Volgograd Arena will hold over 45,000 spectators before being scaled back to a 35,000-seat venue. The VTB Arena was originally included in the bid for the 2018 FIFA World Cup, with the stadium slated to host the opening game. Though it was subsequently dropped by the Russian Football Federation as a host venue, it too has enjoyed a renovation. Designed by Dutch architect Erick van Egeraat and Russian architect Mikhail Posokhin, it was built on the demolished foundations of the historical Dynamo Stadium with an overarching, unique steel structure used to frame the seating bowls, concourses and super trusses at the building overhangs. Its capacity is 27,000, with a possible reconfiguration of up to 45,000 spectators. With a nod to its longevity, the steel was specially coated with an anti-corrosion primer based on activated zinc to ensure long-lasting protection against the extremes of the harsh Moscow climate. These transformable structures are the result of some of the most cutting-edge engineering and design concepts, but there’s a more traditional message of ‘make do and mend’ behind these innovations, ensuring the 2018 World Cup is in keeping with modern society’s shift towards recycling and sustainability (http://stories.WorldSteel.Org/infrastructure/Russia-infrastructure-sustainability-world-cup).